Hey all :) As you might've seen on my social media, the lovely people at JORD contacted me and asked if I wanted to review for them again, and of course I said yes! 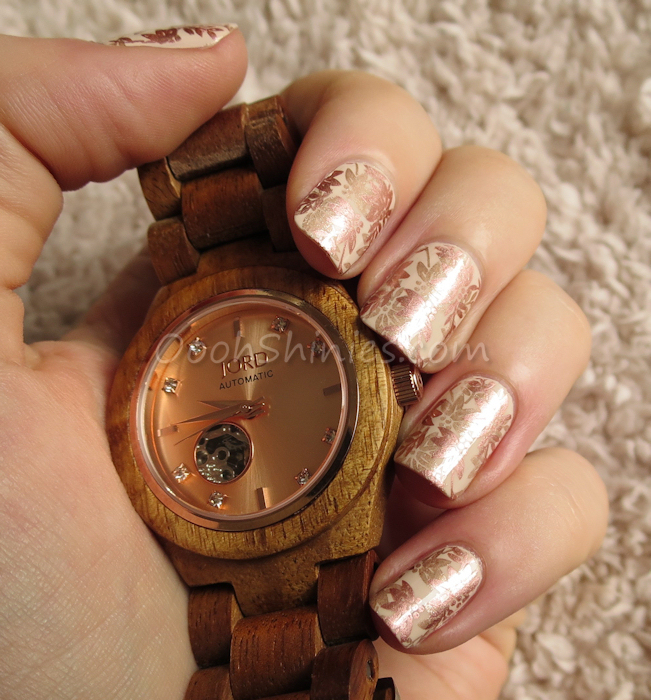 I've showed you the Ely watch before and this time I chose Cora, in a beautiful combination of Koa wood and rose gold, with little Swarovski sparkles here and there. 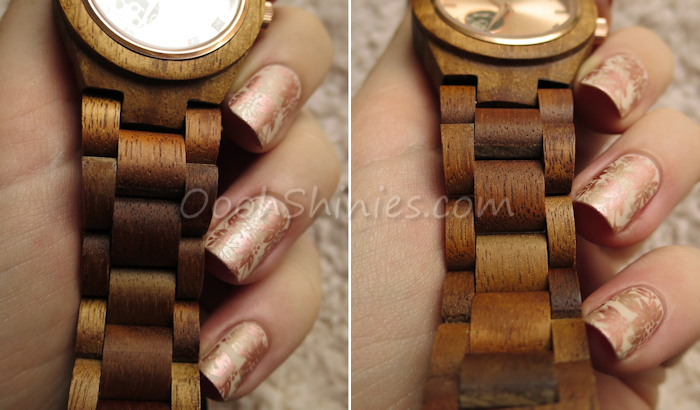 In this post you'll find my review, my nails of course, and... a $35 JORD Gift Card for you! 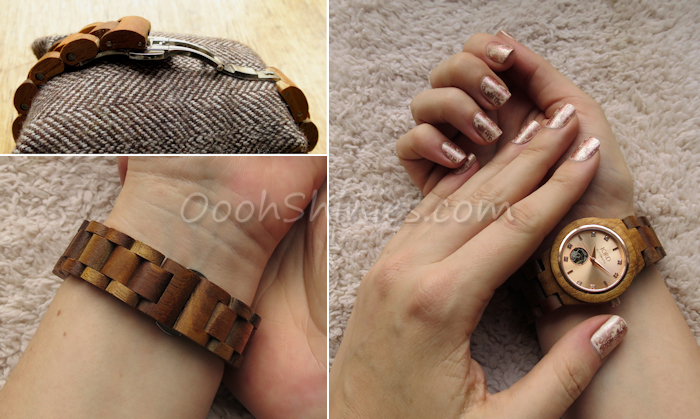 The watch arrived in its own wooden box, safely nested on a little pillow. The sapphire crystal glass is protected by a round sheet of clear plastic, which easily comes off. In the box you'll find a warranty card, an instruction card, a cleaning cloth and the remaining links (if you had it sized before shipping). "Finely grained golden Koa wood and rich rose tones encapsulate the beauty of a summer sunset. Warm, and luminous light is thrown across the horizon of grain, as the day ticks away. Simple and stunning, crafted to be adored, our Cora was created for you." Cora is a self-winding automatic watch, meaning it requires no battery but winds by your movement. And you can see how it works, on both the front of the watch (a small part) and on the back. Look at all those extra little details! The added instruction card explains how you can wind it manually and set the time. And here she is, on my wrist. 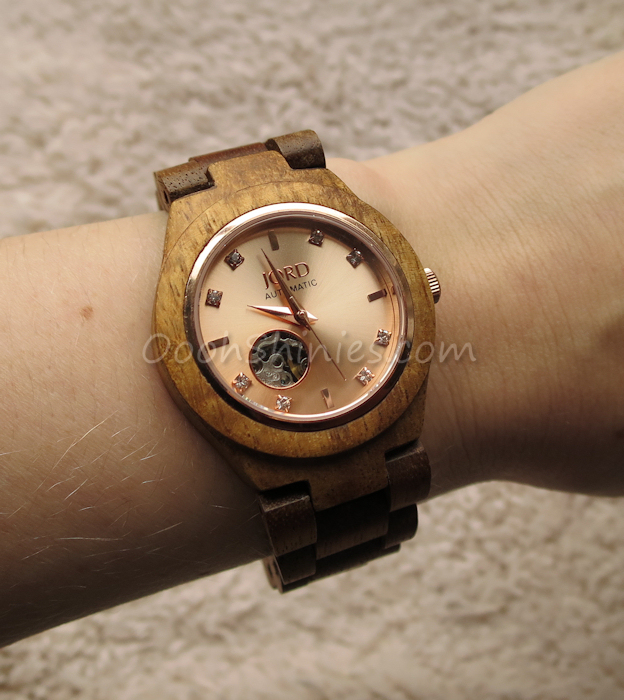 The JORD Wood Watches feel very natural and are surprisingly light, and they fit nicely around my wrist. JORD offers to size the watch for you, which worked great for me, but if you find your watch being too tight after all, you can always take it with the spare links to your preferred jeweler. If you need more links, you can order them on the website as well. 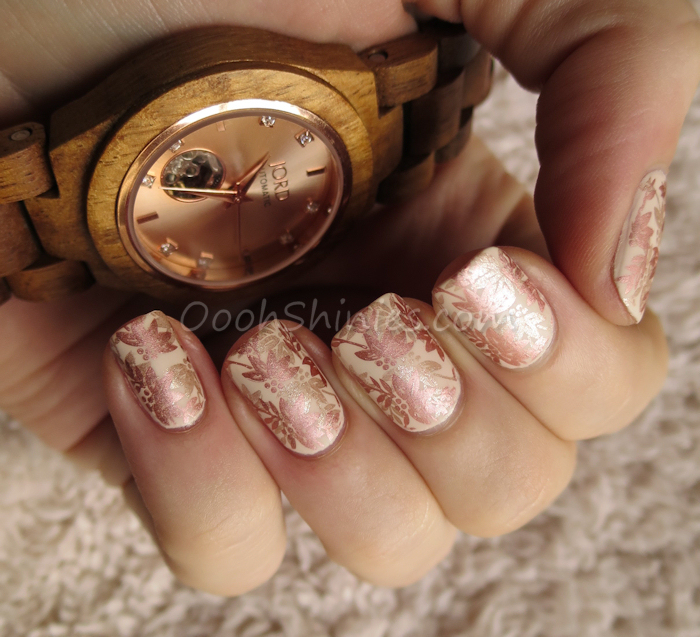 I went for a doublestamped mani to go with the watch, but thanks to the natural wood, the watch matches well with all kinds of colors. And if Koa & Rose Gold isn't your cup of tea, JORD offers Cora in 5 gorgeous color combinations. 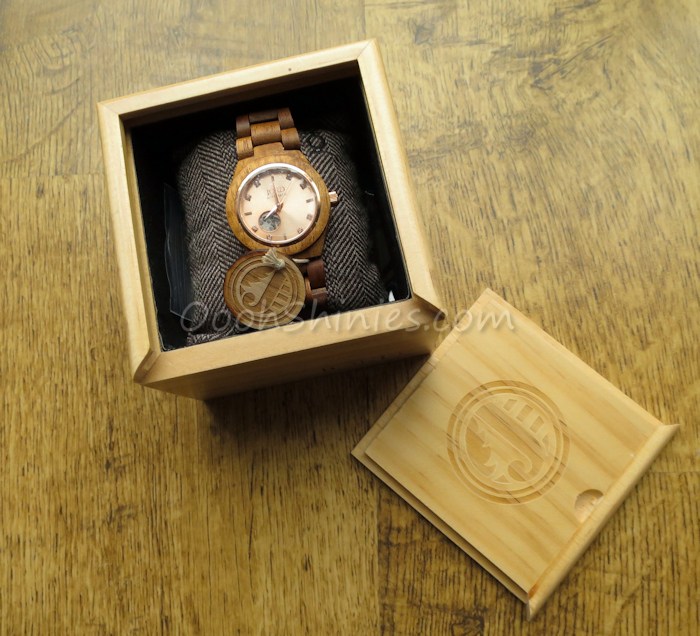 I found it quite hard to choose, especially the Zebrawood & Turquoise got my attention, but I'm SO happy with my final choice - lovelovelove this watch! 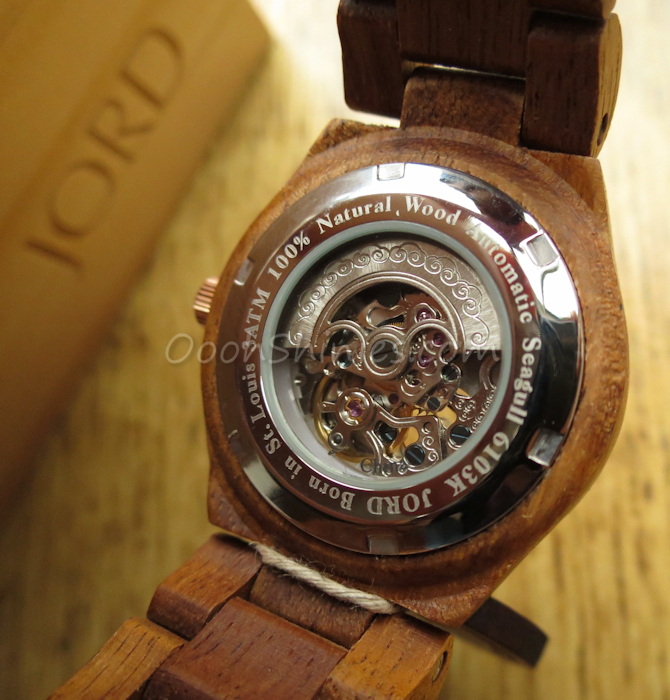 The JORD Wood Watches open and close by a deployment buckle with push button; on the top left you can see it partially open. The wood on the right folds over the metal and clicks in place, as it is on the left side there. On the bottom left you can see how it sits on my wrist. You can open the band by pressing the 2 little bits of metal that stick out a tiny bit. What's also great about these watches, is that they're made of wood and stainless steel, a great combination for people with metal allergies. The Koa wood is amazing, it's like a duochrome wood! :D Check how the links look here; same watch, different angle. How cool is that! Essence 02 stamped with Perfect Touch #04, China Glaze Poetic and PUEEN plate 15, and Dance Legend Top Satin. Have you looked at their watches? If so, I'd love to hear what your favorite is! 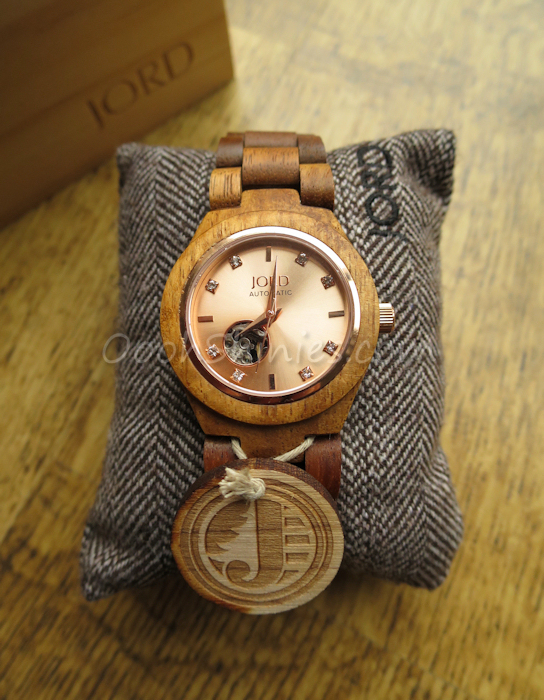 You can find all their watches on the JORD Wood Watch website. Thanks for looking and take care! Will it peel, will it stick?